Housed in the historic Hornell Depot, the musuem features an array of Erie train memorabilia/photographs. The interconnected world we live in, and sometimes take for granted, grew quickly and in the mid 19th century and the industrious folks of our region knew that being connected was the future.The Erie Railroad was a giant of transportation linking the major metropolitan of greater New York City with the rest of the state and beyond. Erie made their home train yard, repair shops and main storage facility in then Hornellsville, today Hornell. This technological leap succeeded the canals in interstate commerce and travel but also brought along with it telecommunications in the way of telegraph lines and highway development as the age of the automobile came to fruition. Railroad development of the 19th century even influences the internet we know today as fiber optic lines were laid in many of the old right of ways along the tracks. Make a connection in Hornell and explore the history of the Erie line and the men and women who kept the trains running. The Hornell Erie Depot Museum is part of the Points of Inspiration Science & Technology Trail. 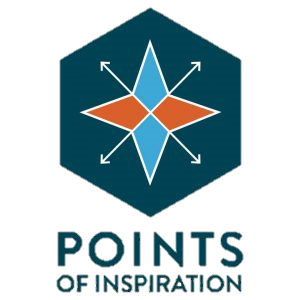 For more information and stops on the trail, visit www.pointsofinspiration.net.